from an online jewellery store GOFAVOR. Oh my gosh, that top is amazing! I absolutely love it on you. 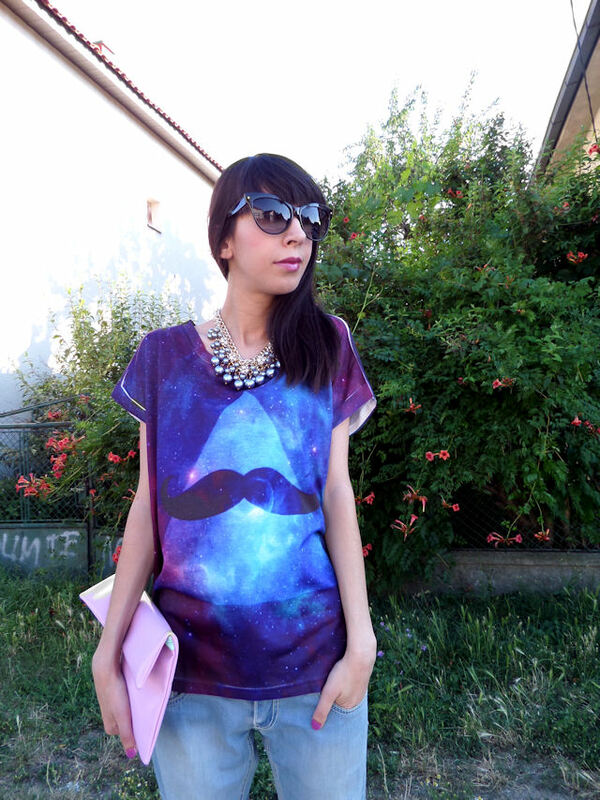 Love the galaxy print shirt! Awesome outfit! Fun shirt...love the galaxy print. Oh and that clutch is the prettiest pink. Kako god, ali ovi galaxy brkovi izgledaju tako simpaticno!! Gorgeous outfit!!! I love that tee!!! gorgeous look! 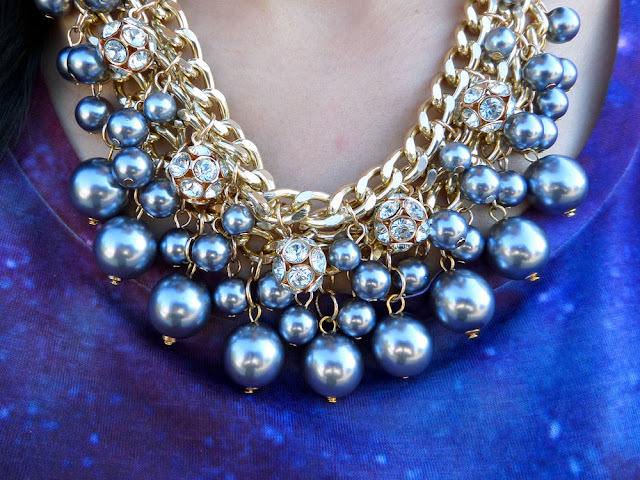 i'm so in love with your necklace and your shirt! Wow your look are so lovely. Amazing. haha that mustache shirt is awesome! but what really caught my eye is your clutch- i LOVE the color!! Hello, I love your blogs! I read a few of your blog posts and they are awesome! I love punk rock style because I love skull and studded very much.. I'm following you now.. Hope we can follow each other..
Galaxy print is so cool! lovely post!! love both the bag and the galaxy tee!! very pretty!! Omy! I'm loving your top! Must check their items pronto! Let me know if you want to follow each other!